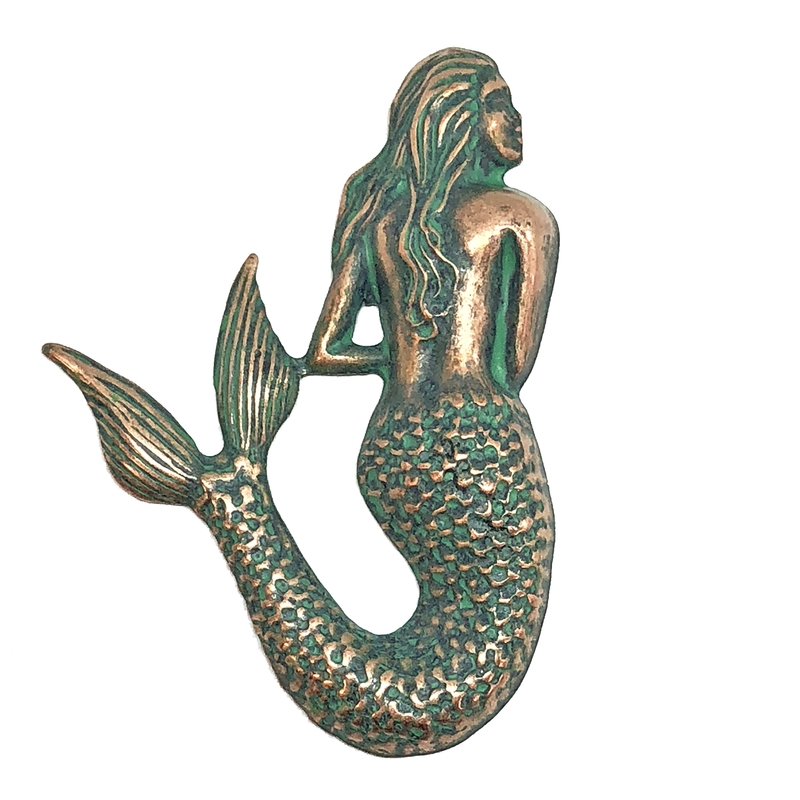 Mermaid stamping, aqua copper patina brass, brass stamping, mermaid, nickel free, US made. Demure with her back to you. Measuring 54 x 36mm, made from the old historic vintage jewelry tooling. Sold by the piece.